 Introduction: Considerable attention has been devoted by the media to a TV documentary by Ken Burns about the Vietnam War. What has not been covered by Burns et al is the fact that JFK’s assassination was the decisive pivot-point of the policy pursued by the U.S. in the conflict. Excerpting The Guns of November, Part 3  (recorded on 11/15/1983), this program notes how Kennedy’s decision to begin a phased withdrawal from Vietnam was one of the central reasons for his murder. Presiding over severe dissent from within his own administration, as well as from the military and intelligence establishments, Kennedy initiated this U.S. withdrawal seven weeks before his death. Two days after the assassination, Kennedy’s Vietnam policy was reversed and the course of action was determined for what was to follow. In addition to canceling the troop withdrawal and providing for troop increases, the policy shift resumed the program of covert action against North Vietnam that lead to the Gulf of Tonkin incident. That alleged attack on U.S. destroyers (never independently verified and widely believed to be fraudulent) precipitated U.S. military escalation. National Security Action Memorandum 273, which was formulated by LBJ on the Sunday after Kennedy’s murder (the day Jack Ruby killed Oswald) and released two days after that, negated the previous three documents. The troop withdrawal formulated in NSAM 263 was cancelled and troop increases were scheduled. The U.S. was committed to “helping the South Vietnamese win,” pointedly using the language avoided by Kennedy in NSAM 111. Furthermore plans were formulated for the program of covert operations against North Vietnam that resulted in the Gulf of Tonkin Incident  and the Gulf of Tonkin Resolution (permitting LBJ to plunge the U.S. into the war). 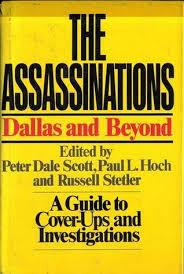 In the roughly 34 years since this program excerpt was recorded, other books have explored how JFK’s assassination reversed U.S. Vietnam policy. 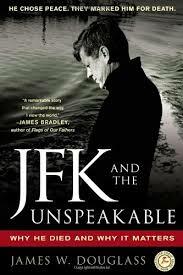 One of the best is James Douglass’s JFK and the Unspeakable: Why He Died and Why It Matters . The intensification in late 1963 of U.S. covert paramilitary operations in Laos. The intensification in that same period of U.S. covert paramilitary operations against Cambodia. The Pentagon Papers’ apparently deliberate falsification of U.S. Vietnam policy, maintaining against the historical record that there was continuity of Vietnam policy from JFK’s administration to LBJ’s.